Have you ever gone on vacation and worried that someone may rob your home while you’re away? Or were you concerned about what may happen to your business when you take time off? Cloud-based video surveillance technology could put your mind at ease. With such technology, you can keep an eye on your property even when you’re halfway across the world. 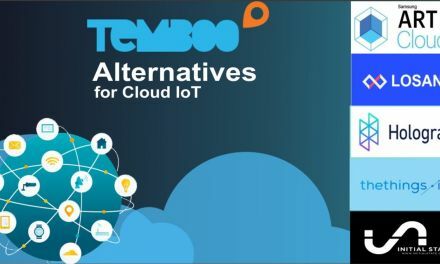 The Mangocam tends to be a popular choice due to its motion detection alerts, but it’s also important to look at Mangocam alternatives in order to pick the best possible solution for your cloud-based video surveillance technology. 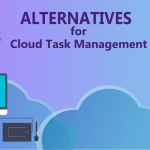 Before we look at Mangocam alternatives, let’s consider why a cloud-based solution for video surveillance is so important. Cloud-based video surveillance would allow you to access and view video streams of your property from any place in the entire world morning, noon, or night. 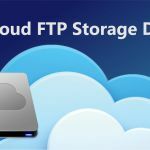 Cloud hosted IP video will also keep your data stored in data centers worldwide in order to get instant access to your videos. Depending on the service you choose, you can get a reliable and secure connection to your video storage. Cloud-based video surveillance technology could benefit you if you want to keep an eye on your home, your retail store or business, or even your own children when they’re old enough to be left home alone. Besides your home, you may have also invested a lot of money in buying a flashy car. If your car is at risk of theft, cloud-based video surveillance could send you video recordings and motion detection alerts to keep your vehicle safe. These are only some of the reasons why you and your family would greatly benefit from purchasing cloud-based video surveillance technology. Mangocam is a type of cloud-based video surveillance service. To sign up for this service, a user needs to have an IP camera and a broadband or mobile Internet connection. Mangocam offers three configuration settings including direct stream mode, FTP upload mode, and Mangocam Connect. Mangocam allows you to see footage from anywhere in the world while providing a secure hosting platform. 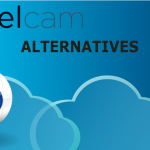 We will compare this cloud-based video surveillance service with Mangocam alternatives including Camcloud, Ivideon, Angelcam, Stratocast, and VIASS. We will detail the features, benefits, and costs of each potential solution. When assessing the costs of Mangocam alternatives, we will compare the prices with the Mangocam Gold Plan. The reason we’re comparing with this particular plan is due to a solid number of benefits and the affordable price point. The Mangocam Gold Plan allows up to four cameras and offers 50 gigabyte space, 14 days retention of video footage, unlimited video downloads, and motion detection alerts. Additionally, you could get alerts when you’re offline, 0.8 Mbps bandwidth for each camera, and mobile app connection for Android and iOS devices. The cost for the Mangocam Gold Plan is $10 per month for up to four cameras. The best feature of the Gold Plan is superior video surveillance of up to 30 fps. Next, the unlimited video download application is another excellent feature. Lastly, advanced motion detection and alerts are highly beneficial for customers. The top feature of the Ivideon Home Plan is a live video feed with worldwide access. Also, as many as four users can have camera access at the same time. Lastly, email notifications and alerts through this plan are completely free. 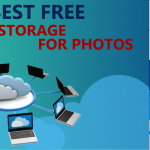 The greatest feature of the Camcloud Best Value Plan is the four hours of video storage. Also, another excellent benefit is the unlimited live camera viewing option. Finally, you’ll love the automated email alerts for motion detection. The best part of the Angelcam Standard Plan is the password protection security features. Next, the Google Analytics feature will help you better understand your online video traffic. Lastly, you’ll benefit from being able to access video footage from mobile devices. 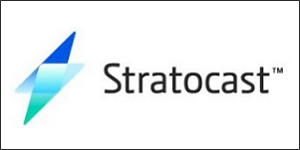 The best feature of the Stratocast Standard Plan is 14 continuous days of video recording length. The next best thing is the 10 frames per second available through this plan. 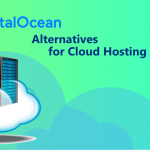 Lastly, the plan allows for up to 10 user accounts for every cloud package. The best feature of the VIASS Deluxe Plan is access to an unlimited number of cameras. Next, users benefit from the motion detection and activity alerts through this plan. Lastly, the Deluxe Plan offers a multi-site management system. You’ll find that the Mangocam and Ivideon cloud-based video surveillance services have a number of similarities. This includes motion detection and alerts or status notifications. 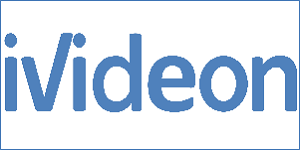 Also, video cloud storage options are available through both Mangocam and Ivideon platforms. Both systems provide a live video feed you can access at any place in the world. One major difference between the Mangocam and Ivideon cloud-based video surveillance services is the type of camera they align with. The Mangocam service can link up to any IP camera, which includes more than 2,000 manufacturers and brands worldwide. According to the Ivideon website, only six types of cameras connects to pre-installed Ivideon. These six cameras include the Oco HD Camera with SD card and Cloud storage, the Oco 1 Home Monitoring Camera, the Oco2 FullHD Camera with SD Card and Cloud Storage, the Oco Pro Bullet v2 Outdoor Camera, the Oco Pro Dome Outdoor Camera, and the Oco HD with Local and Cloud storage. Another difference between the two options is the slightly higher price of Ivideon. You’ll end up paying an extra $34 per year if you choose this plan. 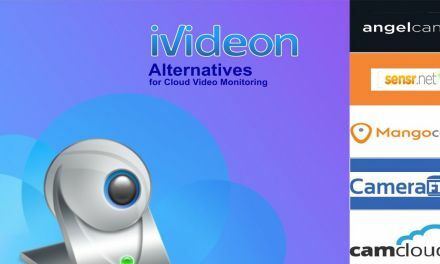 If you are not interested in getting Mangocam or Ivideon, there are Ivideon alternatives you might want to take a look at. Keep reading to learn about other options as well. 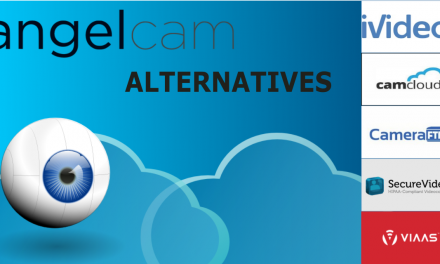 Both Camcloud and Mangocam offer the same options for camera use. You will need an IP camera and it will link up to either the Camcloud or Mangocam platform. 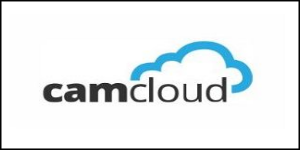 However, Camcloud aligns with less than 15 different camera manufacturers including Amcrest, Axis Communications, Vivotek, D-Link, Hikvision, Samsung, Sony, TRENDnet, Foscam, and some webcam manufacturers. Mangocam, on the other hand, aligns with IP cameras from more than 2,000 manufacturers. As for similarities, you’ll be able to access live video footage from mobile apps for both types of cloud-based video surveillance services. 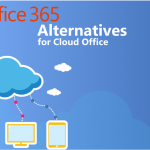 Both will guarantee secure cloud surveillance and cloud storage. Camcloud offers plug and play camera setup for easy installation, allowing you to get started on securing your property right away. Also, if you want multi-site management, Camcloud is the way to go. The multi-site applications allows you to manage lots of cameras, multiple locations, and a large number of users. You’ll find that the two pricing plan options between Mangocam and Camcloud are identical. You’ll end up paying $10 per month for either option you choose. So if you have a camera that works with Camcloud, it may be the better option of the two. The main things that Mangocam and Angelcam services have in common include the live video footage from anywhere in the world and camera status notifications or alerts. Both also have h.264 support and the ability to share footage between multiple users. 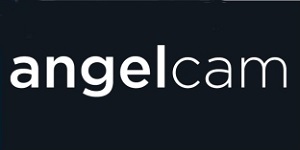 Another similarity between Angelcam and Mangocam is the two service’s ability to connect with more than 90 percent of camera brands. One feature of Mangocam that sets it apart is the bank grade security to protect your video footage. It includes firewalls and fully encrypted servers to keep your video content safe. 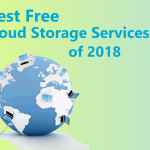 Additionally, to ensure your data isn’t lost, Mangocam keeps your video footage stored in at least two different storage devices across several data centers worldwide. Angelcam, on the other hand, has a new surveillance option coming out soon. There will be a scheduled patrol service where a dedicated security team can watch your home or business remotely. You’ll be able to schedule this team to watch your property based on your needs. Angelcam is significantly more expensive if you’re looking to get four cameras similar to the Mangocam price plan. For four cameras, Angelcam costs $24 per month, which is $14 more than the Gold Plan at Mangocam. So if you’d rather save money, Mangocam would be the more affordable option. One main differentiation between the Mangocam and the Stratocast services is the type of camera each aligns with. Mangocam can align with nearly any IP camera built around the globe. Stratocast, on the other hand, syncs up with analog cameras. If you have analog cameras already in your possession, this can make Stratocast a more reliable service. The maximum resolution for the Stratocast standard cloud package is 1280 x 720 while its max frame rate is 10 frames per second. Another differentiation is that Mangocam offers advanced motion detection features along with security alerts. The major similarities between Stratocast and Manocam are more big picture. Both services will keep your mind at ease knowing that your business or home is safe from burglary. Both services allow you to access live video footage as well as recorded footage. You can use your smartphone, tablet, or laptop to access the video footage either through the Mangocam or Stratocast services. The two price options are very similar. Stratocast costs $9.97 per month while Mangocam is $10.00 per month. This is only a 36-cent difference per year. 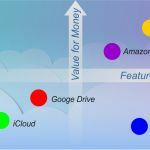 As such, you’ll have to decide which features you need most when choosing your cloud-based video surveillance service. 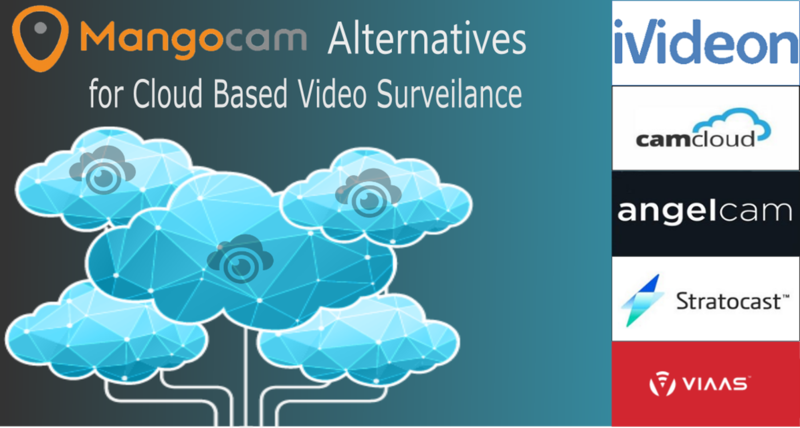 Both Mangocam and VIAAS cloud-based video surveillance offer a reliable service for online video monitoring. Additionally, you can scale your needs upwards at any point since both services support an unlimited number of cameras. Both services can support an unlimited number of locations for surveillance. Either Mangocam or VIAAS incorporate motion detection software and can be powered over the Ethernet. 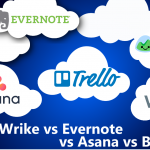 Both have reliable cloud storage and management along with real-time monitoring technology. 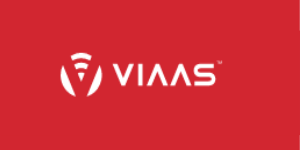 VIAAS has no channel or data storage limits as well. Additionally, VIAAS even ensures that an unlimited number of users can access one account. 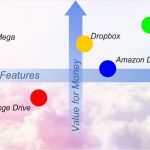 Another difference is that Mangocam keeps your data stored in at least two devices across multiple data centers around the globe while VIAAS holds data offsite in a single location. VIASS holds your video footage in their VideoVault or security cloud. If you want to save your video footage in a different format or change the quality of the image, your best bet is choosing Mangocam, which includes these features. The price points between the two plans are also similar. The Mangocam Gold Plan costs $110 per year while the VIAAS Deluxe Plan costs $119 annually. Since this is only a $9 difference, you’ll want to consider what features would meet your needs best before choosing a plan. There are a wide number of surveillance needs for any individual, business owner, or family. For example, you may want to keep an eye on a dog or cat that just underwent a surgery. If you’re at work and you want to make sure your pet is doing alright, cloud-based video surveillance could be the right solution. Also, if you may be going away for a weekend and leaving your teenagers at home, you could use cloud-based video surveillance to make sure your kids don’t throw a party or get in trouble. If you are a business owner with a store, you might need to prevent theft including shoplifting. You can’t lose supplies and profits. As such, cloud-based video surveillance could keep your business safe even if you’re off on vacation. These are some of the key reasons why you would greatly benefit from purchasing cloud-based video surveillance services.